For many centuries people have worked for others. Whether it was people working for Kings and Queens or working in Colonial America for merchants, labor has had a long history. Over the course of time employers have looked for ways to maximize profits, but often at the expense of their employees. This led to labor unrest and the formation of unions to help protect the interests of workers. However, businesses have found ways to balance the needs of the business and the concerns of employees by use of the Human Resource Department. Human resources in the business world can be described as the department or individual that is assigned the duties of hiring personnel, administrating and ensuring that employees receive proper training. The Human Resource Department is generally the area that acts as a buffer between management and employees of a business. In addition to hiring and training employees, the department is responsible for ensuring that the workers are paid properly, receive vacation and sick time that are due to them, put policies in place to make sure that the business is following all of the laws that are in place to protect the rights of employees and many other important tasks needed to ensure that the workers and business interests are equally met. 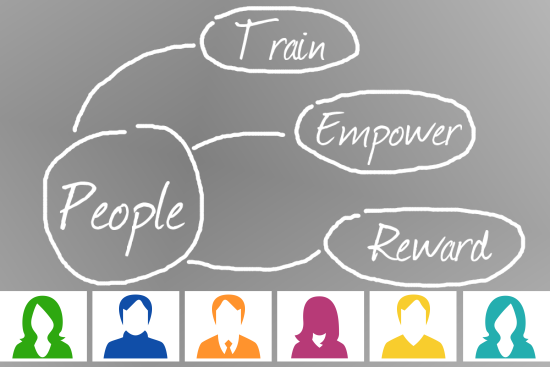 Human Resources Management has become an integral part of the running of a successful business. The origins of the management function dates back to the early 20th Century. With workers becoming frustrated at poor working conditions and poor wages, the governments became involved by trying to get businesses to improve conditions by passing employment legislation. Because of the increased laws and the follow up required, that were placed on these businesses, it became necessary to have professionals in the field become involved in the day-to-day HR functions. Today, the Human Resources function is one of the most important in any business. Without proper hiring of employees, businesses will not be able to be successful. In addition, if businesses do not follow proper protocol they can be subject to severe penalties, which can hamper the success of the business. For businesses and individuals looking for more information about Human Resources, please feel free to review the following information. Human Resource Management - InLoox • Copyright 1999-2019 © InLoox, Inc. All rights reserved.